Gather your friends and family to join the #ASKWalk! Whether running or fundraising or both, the following awards and prizes will surely sweeten your day. TEAM SPIRIT AWARD – NEW IN 2017! • Totals reflect donations only, not registration fees. ​• Verbal recognition at the 5k is based on team totals as of the morning of the event. 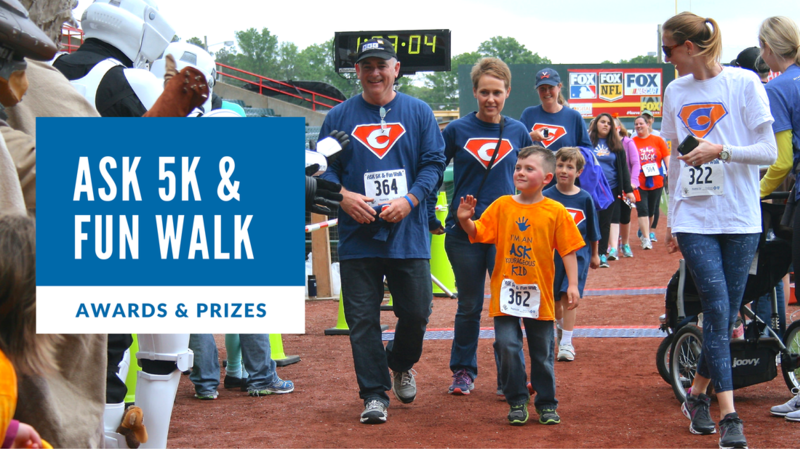 Be sure to follow the ASK 5K & Fun Walk Facebook page for updates and winner announcements. Also, check out the Fundraising Plan page for tips on how to reach (exceed!) your team’s goal.